Fort Shanz consists of the rampart with concrete artillery emplacements at it's top, obstructing a way across the island of Kotlin. Since the time of the Crimean War, stood here near the shores of the sea two small artillery earthen fortifications - Alexander-Schanetz and Nicholas-Schanetz and earthen Curtain battery between them. 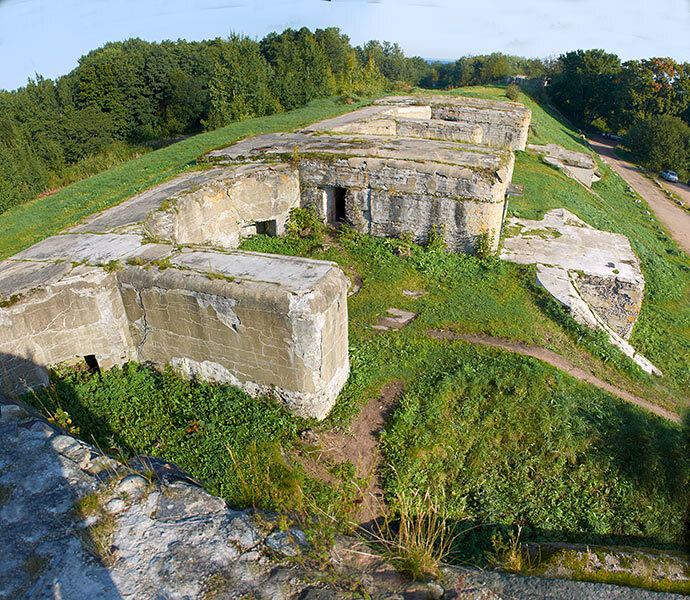 Before that Alexander battery, Alexander-Schanetz and Mikhailovsky redoubt defended the island since 1706.